This blog was almost titled “What You Need To Know About Local SEO.” Any business owner will be able to benefit from the information. Reaching more customers, standing out from the crowd, and being far more accessible to your local consumer base are just some of those benefits. 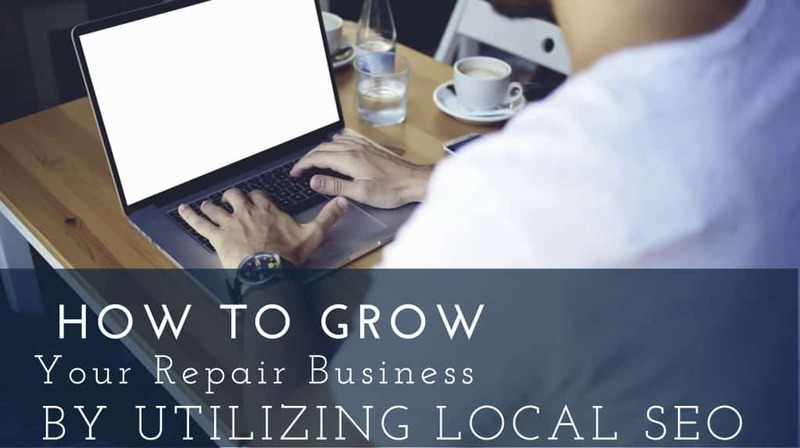 Of course, as a shop that offers full-service computer repair in New Jersey, we’ll focus specifically on what brick-and-mortar computer support businesses can achieve when they know the ins and outs of this breed of search engine optimization. That’s because, to put it simply, we believe technology makes the world go round. Whether it’s in a private, medical, industrial, educational, military, or any other kind of setting, people rely on their computers. We’re going to share tips and techniques for developing better local SEO because we want computer repair stores everywhere to be able to reach more consumers so that we can save more computers and electronic devices. Data recovery means documents that employees have poured their time and talent into, technological assets that small businesses have spent their livelihood on, and irreplaceable personal photos or videos are just a handful of the property we save and restore. One last thing before we get into the meat of this article: we believe in the little guy. We believe in a personal approach. Local computer repair shops can keep their customers informed and often offer much faster return times on consumer property. That’s just one more reason why we’ve worked hard to become experts on the subject at hand: local SEO. Local vs. Traditional SEO: What’s The Difference? You know SEO stands for Search Engine Optimization. You’ve heard of it. You’ve probably tried to implement it, or at least thought about implementing it. But do you really know what it is? Do you really know the intricacies and nuances of this powerful tool? Do you know how to use it? The next thing you need to know is that search engine optimization has changed and evolved. People use to be able to game the system by jamming articles and webpages with overused keywords in an unethical practice known as “keyword stuffing.” With Web2.0 and Google updates, though, these websites have been penalized. WordStream.com actually calls keyword stuffing “dangerous,” and warns that over-optimized sites will be “filtered out” by search engines – essentially relegating these sites to an unfindable oblivion. Now, with that in mind, there’s one more important thing site optimizers need to know: local and traditional SEO are radically different. Traditional SEO is now based on the authority of content. Copywriting experts at Express Writers say that “content is the #1 ranking factor for SEO.” This authority is developed through a series of linking to other sites and posts with high credibility. Traditional SEO focuses on a website. It’s trying to drive traffic, click-through-rates (CTR), and customer conversion. It has a global, anywhere feel to it. Local optimization, on the other hand, tries to make people drive to a specific place. It’s all about location, relevance, and trust. There’s an inherent and apparent personal quality to it. It works on the foundation of a business community. It can also be far more effective – which is exactly why you need to know how to do it right. Don’t get us wrong, we believe clear copywriting and killer content is important. But for local optimization, it needs to be combined with a very specific set of more intimate parameters. That’s why, in the beginning of this post, we spent time relaying our mission and vision. Not only were we creating content, we were linking ourselves to other small businesses specializing in computer repair. Consistent And Accurate NAP. This stands for Name, Address, Phone Number. It should sound pretty obvious that this information needs to be accurate and updated for consumers to find you – both digitally and physically. It might even sound easy. Unfortunately, it’s not that simple. Neil Patel, of Entrepreneur.com, writes, “The information on Yelp must be consistent with…Google+, which must be consistent with…Foursquare, which must be consistent with the Local Small Business Association, [etc. ]” This updating and checking for accuracy takes time and manpower, which is why a ConstantContact survery of over 350 small businesses showed that half of business never update their online listings. Social Media. Local optimization and social media were made for each other. A handful of large corporations have used Facebook and Twitter to fuel awareness or charitable campaigns, but small businesses can live or die on social media. That’s because more and more mobile users are searching from social media platforms. Business Insider published a report that showed nearly 20% of all time spent online is spent on Facebook, and that “US consumers spend 40 minutes on Facebook per day.” You need to make sure your information, when queried through social media, is what people need to know at a glance: who you are, what you offer, where you offer it, how much do other people like it. Reviews. Word-of-mouth marketing knows no equal. Nothing drives consumers to buy like hearing how amazing a product, a movie, an entrée, or a service was for them. Statistics all over the internet show that the average consumer is inundated by direct marketing – and has therefore build up something of an immunity. You must post reviews for your business. If you’re not receiving any, solicit them! Offer discounts, free merchandise, or trade for real, honest reviews. Photos. Local optimization is all about making it enticing to visit your business. One of the ways you can do that is by making it as easy as possible. Updated photos of your business entryway, interior, staff, and products can help people feel familiar with your location and company before they ever visit you. A series of good photos on your social media sites and My Business page can draw people in. Events. Stay tuned in to local events. Find a way to participate. Contact event supervisors to see if you can set up a table or booth, or even have representatives from your company there on hand to pass out hard copy materials and field questions from the public. Once you find a way to be at an event, use its details and built-in traffic on your site. This will link you to the local event and help double your exposure. Barnacle. Riding the coattails of Step 7 above, barnacle SEO happens when you find and research a well-established and successful local business online. Then you attach yourself to it. Note where this business can be most easily found. Are they one of the top results on Yelp, Facebook, FourSquare, Google, Yahoo!, or Bing? Wherever they’re ranking in the top results, revise your SEO to be similar to theirs. Do not plagiarize! If you offer a similar service or product, though, make yourself heard. As you can see, there’s more to local and traditional optimization than meets the eye. It can be difficult for any single person to evaluate the complexities of keywords, linking, citation, directories, and so on. That’s why we do what we do. Along with computer repair and data recovery, Dave’s Computers offers blog writing and copywriting for local optimization results. We can help you improve your sales and customer base by enhancing your map search, online content, website and email design, social media presence, link building, and more. Contact the experts at Dave’s Computers, Inc – with decades of proven experience – to help you start optimizing your business right now.